DIY car detailing is detailing made simple! 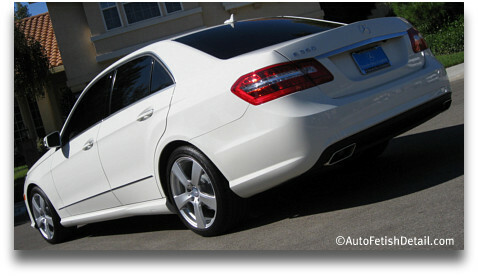 Due to advances in technology at every level, DIY car detailing is more simple and straight forward than ever before. From the moment you're born to the moment you die, advertising and marketing will be forever figuring out ways to separate you from your money; this is goal one with business at every level. Any trip down the car care aisle will make your head spin in anxiety as you are bombarded with never ending displays of slick packaging and hyped-up slogans. Experience has shown that many people find themselves frozen with doubt and anxiety as to what to do and how to do it.The goal of DIY car detailing is to guide you to the many resources I have compiled to help any do-it-yourselfer learn the essentials of cosmetic car care. While my entire site is dedicated to the Do-it-yourself crowd regardless of level of skills, I am going to lay the ground work on this page towards basic understanding of cosmetic car care and auto detailing. Learning the basics is always recommended and a good way to enter without getting overwhelmed. "Darren remember, I am just a beginner. Can you give me the basics and tell me what to use and how to use it so I am not discouraged from the start and give up before I try!" Virtually every car made since 1990 has what is called clear coat on your paint. The main goal of clear coat is for UV protection (think sun block for your skin) along with protection against weather and other insults. This clear coat (also referred to as a 2-stage paint: color coat first, and then a clear coat top) needs the same care and maintenance as any old-school single stage paint. Wash as often as you can: Dirt and sun are your car's greatest enemy. This can be daily, weekly, or monthly. Yes there are zealots that wash their cars every day (using non-traditional forms of washing) and there are those that are on the 6 month plan (washing their car every 6 months whether it needs it or not) See my dedicated car washing page for a comprehensive complete instructions and recommendations. Decontamination of your car paint: Every car regardless of age; new or not, will have some form of contamination attached to the paints surface. This will give your paint a rough, gritty feel. This is nothing more than pollution from the air that contains particles that attach to the clear coat and will have to be removed with a separate process. Trust me on this one as most people will either not understand this process, or they will get lazy. Skipping this step will deliver disappointing results and will diminish the end result of all your efforts. Like car washing and waxing, this is not a one time only process; you may have to do it once a month or once a year. Every case is unique. Read my page on detailed understanding of the clay bar process, and then choose yourself a clay bar kit to begin with and for ongoing maintenance. Waxing/Sealing car paint: This is really the same thing; applying protection and adding gloss and depth to your car paint. The difference between the two is essentially this: car wax is usually in a paste or a liquid and will have some form of carnauba or other natural wax ingredients. Sealants will always be liquid or spray, and will be made mostly with synthetic ingredients. (think traditional motor oil versus synthetic motor oil) Depending on who you ask or what label you are reading will determine how often you apply a wax or sealant. Just know that you cannot wax your car too much, and I have never seen what is referred to as wax build-up. (as an added note; if you have spent any time on the endless car and detail forums, you will hear endless misinformed people referring to these two issues; ignore them) The excepted rule is that paste wax will not last as long as a synthetic sealant, but will add better depth and shine and will feel differently to the touch after applied. Sealants will have longer durability but will sacrifice in visual appearance than a paste wax, and will have a more slippery feel to the touch. 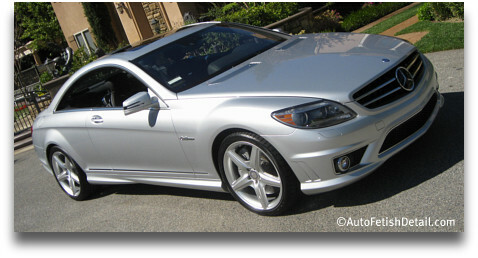 See my best car waxes page to pick out my professional recommendations. Car Polishing: Many people will rush to wax their car but don't understand that waxing your car will certainly conceal subtle blemishes and enhance the paint itself, but wax itself is limited by the condition of your paint itself. For true depth and defect removal before you wax, you will need to polish your paint. With the development of modern random orbital car polishers, now any true beginner can create professional level results by polishing the paint of your car. So DIY car detailing is going to include car polishing for most of you. But fear not, as modern day polishers and polishes are extremely user friendly for all. I recommend seeing car paint restoration for my picks in top rated car polishers for any true beginner. People get just as confused an overwhelmed by the thought of keeping their car's interior clean as they do when it comes to the requirements of your car's paint. Don't worry, this to is rather straight forward! 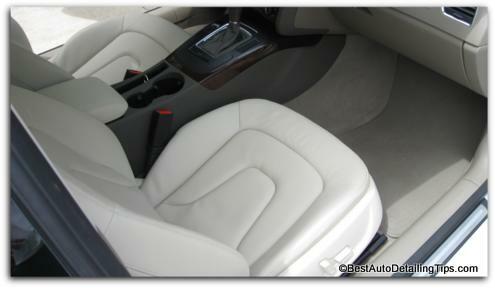 Regular vacuuming is your best and easiest defense for your cars interior. Preventive maintenance is always easier than the cure. If your car is brand new, it is super easy. If you have allowed the dirt to build up do not worry as it is far more simple than you likely thought. Rather than chasing your tail spending buckets of money on dedicated cleaning products, I am going to show you a simpler way. I hope this has brought greater understanding to an area of car ownership that now gives you the resources and confidence to achieve professional level results for you and your car!